On Wednesday, November 9th, Chef Timmy teamed up with Crystal Sanders of Fish Revolution to teach people how to select, prep, and cure fish. Special thanks to Pike Place Market Atrium Kitchen, the crew at Pike Place Fish Market, and Calicraft Brewing Company for supplying beer. 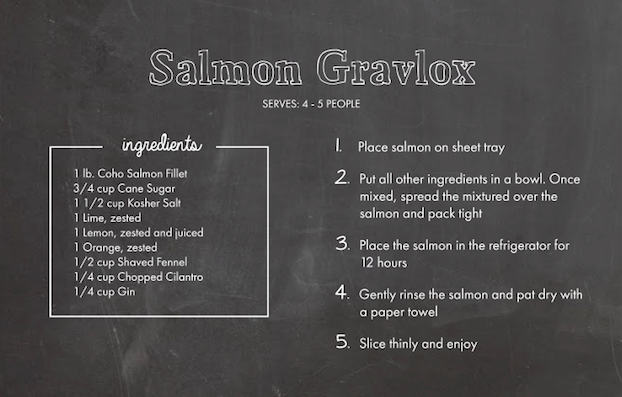 Salmon gravlax, better known to many as just gravlax, is nothing more than salt, sugar, aromatics, and a really fresh piece of salmon.